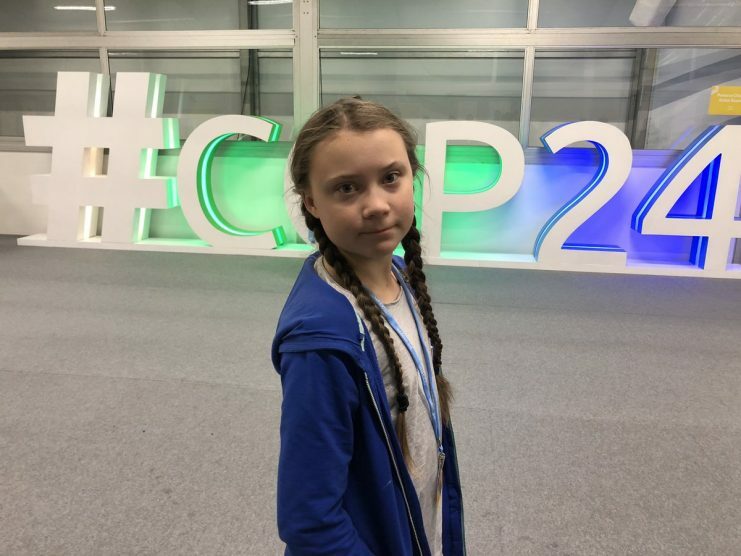 The world’s youth must lead in pushing for climate action as our politicians are “behaving like children” the 15-year-old Swedish climate activist Greta Thunberg said today. Speaking during the opening day of COP24, she said that she did not come to Poland to ask world leaders to halt their countries emissions. This tactic has failed for the past 25 years, she said, and instead directed her focus on citizens around the world, calling on them to “realize that our political leaders have failed us”. She said that we no longer have time “to continue down this road of madness” and that we need the media to start talking about it and to “be talking about nothing else”. She deplored that politicians are ignoring the fact that we are in the midst of the sixth mass extinction, with “up to 200 species going extinct every single day”. “We have not come here to beg the world leaders to care for our future. They have ignored us in the past and they will ignore us again,” she said. In August, Greta starting a global movement by going on strike from school and sitting outside the Swedish Parliament to demand greater action on tackling climate change. She responded to critics who said that she should be in school instead, studying to become a climate scientist to solve the climate crisis. “The climate crisis has already been solved. We already have all the facts and solutions,” she said. Last Friday, thousands of Australian schoolchildren walked out of class on Friday to demand climate action from their government. Earlier last week, hundreds of students in Canberra waited outside Parliament House to meet independents politicians and members of both the Green Party and Labour.